After I moved to my new office, I began the task of throwing out some twenty-odd years’ worth of files. Now, you might wonder whether it would have been a better idea to throw out the files before schlepping them upstairs. I’m right there with you, pal. Anyhow, here are a couple of gems I rescued from a folder full of BBC/Lionheart sales flyers. 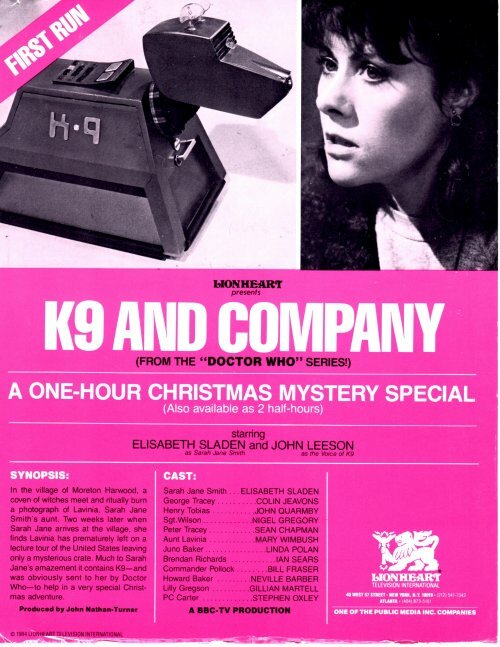 First up is one for the “FIRST RUN” of the Doctor Who one-off spin-off K-9 and Company. What I love most about this is the explanatory text at the bottom. The original Dr. Who series was developed by Terry Nation, creator of the Daleks and other villains of Dr. Who. That would’ve been a real shock to Sydney Newman and Donald Wilson, who apparently only imagined that they created Doctor Who. The “other villains” cited? 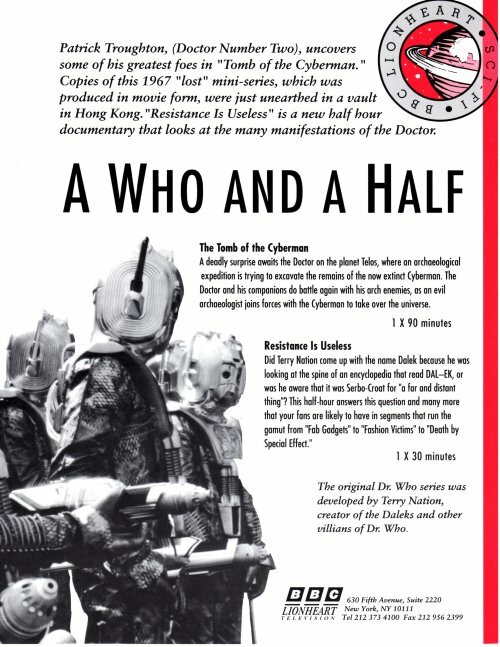 Putting Davros aside–given that he’s a package deal with the Daleks–that pretty much leaves the Voord and the Kraals, neither of which is worth mentioning on a sales flyer. Hell, Terry Nation didn’t even create the Cyberman.